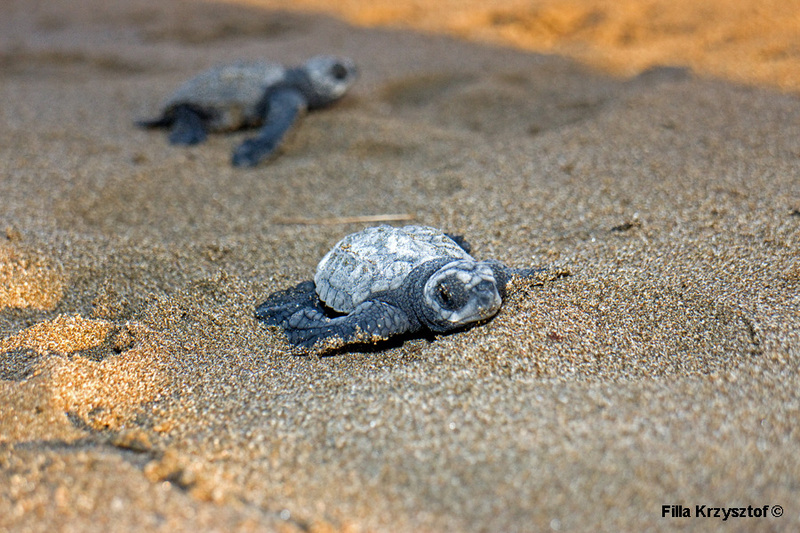 The olive ridley sea turtle (Lepidochelys olivacea) is the most common sea turtle in the world. Despite this fact and international protection its population is in constant decline. From the 60s of the 20 century their number has reduced by 50% worldwide (locally even 80%) mainly by plundering their nests, poaching and the fishing industry. Adults weight up to 45 kg. After 50 to 60 days of incubation their young (4 cm) hatch and go straight to the sea. They will return after 12-15 years to the same spot when they achieve sexual maturity.